Zerzura Apartments offers 1, 2 & 3 bedroom apartments. Please select a unit that you like, fill out your name, number, and email, and you will be redirected to our quick and convenient online application. Not seeing what you're looking for? Availability changes every day, if you tell us what your needs are we’ll call you when availability changes. All room dimensions are approximate and may vary by apartment. Our Las Vegas apartments for rent come in a variety of floor plans to give you options when it comes to your home. No matter the number of bedrooms you want, you can choose from a variety of layouts to make your space personal to you. One bedroom apartments range from 851 to 1,026 square feet and are also available in a carriage-style home with an attached garage. Two bedroom apartments offer between 1,185 and 1,208 square feet, while three bedroom apartments provide between 1,366 and 1,567 square feet. All of our apartment homes include a washer and dryer, kitchen pantry, and private patio or balcony. 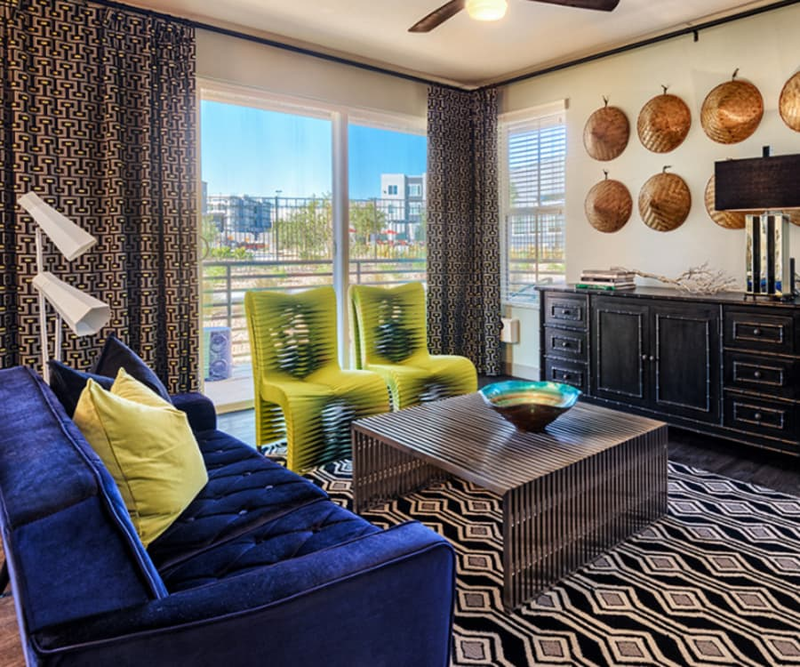 Each of our one, two, and three bedroom Las Vegas, NV, apartments offers striking interiors for you to make your own. Find eye-catching features like contemporary designer light fixtures and hardware throughout your upscale apartment. Upgraded cabinetry and quartz countertops are in every kitchen and bathroom. And stainless-steel appliances crank style up a notch in a comfortable apartment that’s fit for Vegas living. Plus, enjoy your home with your own personal soundtrack playing over Sonos Bluetooth speakers, included in every apartment. Contact our team today to set up your personal tour of your new apartment home at Zerzura Apartments.